At first it was just a niggle in your knee when you climbed stairs or were squatting. Then the pain and stiffness became more than a niggle and you began to feel it when walking, sitting and resting. You may be hearing popping or cracking sounds in your knee, and notice that your knee “gives out” every now and again. The knee is an amazing but complicated joint and knee pain is one of the most common reasons that people visit a physiotherapist. Pain behind the kneecap is commonly called runner’s knee because it is often seen in athletes and people with an active lifestyle, although it can also be seen in everyone from the young adolescents during growth spurts to elderly people. The medical term is patellofemoral pain syndrome. It is pain behind the kneecap where your patella (kneecap) slides along the groove in your femur (thighbone) beneath. Pain and stiffness occurs when the kneecap does not slide smoothly and misaligns causing it to rub against your femur. Repeated mis-tracking causes pain, stiffness, and ultimately can cause damage to your kneecap joint surface. Knee pain is most commonly noticed during activities that involve knee bending, jarring or weight bearing. People most at risk are those whose sport or activity includes running, jumping or the need to land in a squatting position. Sports most commonly associated with knee pain include running, netball, volleyball, basketball, tennis, skiing and cycling. Many tradies such as tilers and carpet layers also have problems. Generally, knee pain is gradual onset, which means it gradually increases in severity over time. As with most injuries, the best initial first aid is rest, ice packs (15 minutes at a time every 2-3 hours), and taking anti-inflammatory painkillers such as ibuprofen. You do not need a referral from a doctor to see a physiotherapist. If the pain is moderate, then you can seek treatment with your Physiotherapist immediately. Physiotherapy is a proven treatment for runner’s knee. Your physiotherapist may initially tape or strap your kneecap to help pull it back into alignment and reduce pain. Massage and joint mobilisation techniques are also commonly used to reduce swelling and restore movement. You will be prescribed exercises to stretch and strengthen muscles that may be contributing to the problem. These exercises will change as you heal and will gradually increase in intensity to match your recovery. If you wish to continue exercising to maintain your fitness during your treatment, then explore swimming, deep-water running and low-impact gym equipment such as elliptical trainers. Depending on your knee pain cause, you may also be advised to explore arch supports, orthotics or different footwear. You may also require postural or technique correction in your chosen sport to stop problems from recurring, as well as a strength and conditioning plan to get you back to full competitive fitness. In our experience, over 90% of runner’s knee physiotherapy clients will be pain free within six weeks of starting treatment. However, for severely damaged joints or arthritic joints, surgery may be required. Runner’s knee or patellofemoral pain syndrome is a common cause of knee pain. It is a gradual onset injury and is most commonly noticed during activities that involve knee bending, jarring or weight bearing. Physiotherapy is a proven method to speed healing, and prevent recurrence of knee pain. Future management may also involve assessment of your gait and posture during exercise, and prescription of arch support or custom made orthotics. 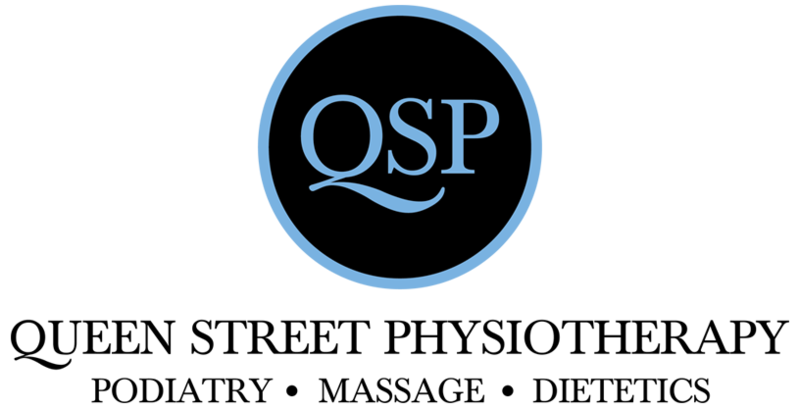 Queen Street Physiotherapy specialises in multiple areas of Allied Health, including Physiotherapy, Remedial Massage, Podiatry & Dietetics. Located in Brisbane CBD. Winter foods to boost your immune system! When and why do you need a massage?